Hello crafty friends! Melinda here with you today sharing a super cute layout I created with the Oh Baby Girl Paper Crafting Kit by Paper House Productions. Here is one last look at my layout. I have to tell you this kits come with so much product! They really are a great value! I have so far created two layouts and 3 cards and I STILL have a great deal of product left!!! 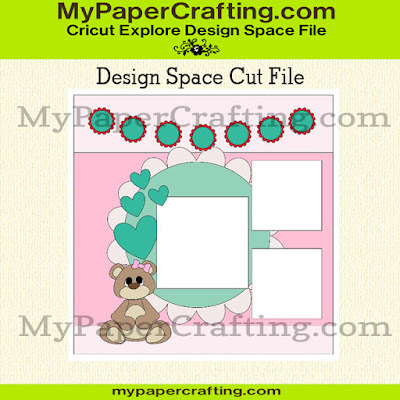 This is A Cricut Design Space File. You will need the use of the Cricut Design Space Software. Created with the FREE SHAPES in the Software. No Additional Cartridges Needed!